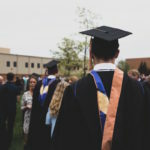 The degree faces unprecedented skepticism as students and policymakers question associated costs, and employers look for better evidence of the discrete skills and competencies that higher education once signaled. At the same time, the role of non-degree credentials is growing. Nearly one in four U.S. adults—close to 50 million people—now have a credential other than a college degree. 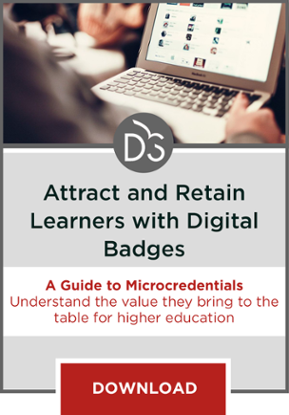 It’s a welcome shift as associations, employers and even universities themselves issue digital badges tailored to unique and workforce-relevant skills. But will the proliferation of credentials simply replace an historic challenge with an entirely new problem? There’s a raging debate among credentialing experts over whether badge issuing should be limited to so-called “worthy” achievements. Some of these “badgeratti” warn against the unintended consequences of over-credentialing. It’s true, they acknowledge, that the degree doesn’t communicate the discrete skills and competencies employers and other opportunity providers are looking to source, but how can those opportunity providers find meaning in an alphabet soup of badges and credentials? How can we cut through the noise of gold stars and certificates of participation to unlock the signal associated with more meaningful credentials? Are we at risk of creating an era of “badge pollution”? Unlikely. At its core, the unbundling of the degree—and shift toward more specialized badges and credentials—is not about just replacing one signal with another signal. The growth of digital badges has triggered an explosion in machine-readable data describing individuals’ achievements and capabilities. Credentials are only the surface-level manifestation of a shift toward data-driven decision making in hiring, the availability of a growing multitude of educational options and our understanding of skills and diversity gaps. 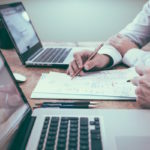 As a result, we’re entering a new era of data science as sophisticated predictive models emerge to provide a heightened understanding of the derivative value skills, and competencies that credentials convey. After all, we don’t complain about data pollution; we rely on technology to read and sift through huge sets of data. It will be same with credentials. At its core, digital credentials are simply a data problem that technology can solve. And it’s already happening. Consider the rapid evolution and role of intelligent Applicant Tracking Systems. 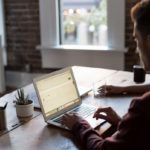 In the past, Applicant Tracking Systems were used to log resumes, sifting resume SPAM generated by online job postings with the benefit of simple search queries or compliance-driven functionality required in the hiring process. In the future, the ATS will evolve into a critical source of data and tools for strategic talent management. Let’s call them “Applicant Information Systems” or AIS. The AIS will proactively reach out and match job descriptions to applicants using relevant credential data, inviting candidates to apply for a job or engage in additional coursework, projects, virtual internships or assessments to demonstrate proof of qualification (as well as enthusiasm for the position). In a data-driven world, the signals that matter may prove contextual and cumulative—gold stars in one setting can add up to a gold seal in another. The individual who is awarded a badge for demonstrating social media skills on the job at IBM, earns a digital certificate for event planning, and adds a credential in digital marketing to her profile, may have exactly the right cluster of verified skills that an employer knows to be predictive of job fit. If an employer, school or association finds certain badges irrelevant, they will exclude that from consideration in an automated fashion using AIS technology. Over time, consumers and would-be employees will be empowered by the intersection of big data and a multiplicity of new credentials—gaining unprecedented transparency to understand which types of credentials are valued by which employers, and why. Gone are the days when a hiring manager has to take an education provider’s word for it. 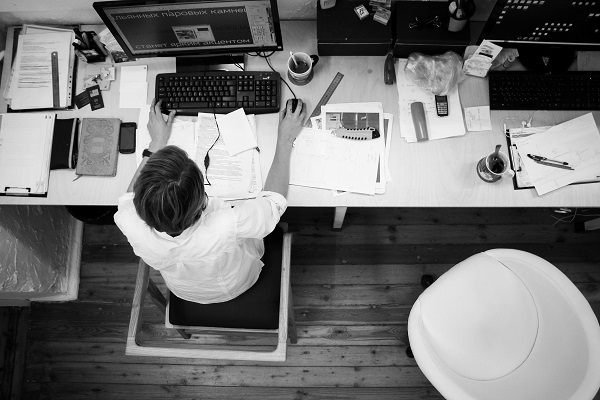 A badge for a specific competency could be the spark that gets you recognized and hired. Data driven credentials reduce risks for both candidates and employers, helping each save time and money. In a few years, rather than lamenting badge pollution, we’ll look back at the pre-data credential era and view it not as an unpolluted, noiseless Eden, but rather as the time before we learned to separate the signal from the noise.